A witty, entertaining novel about a woman who leaves the rat race for a quiet life restoring an old mansion from the bestselling author of Cleo. Life's going down the gurgler for romance writer Lisa Trumperton. The deadline for her next novel is looming, her daughter won't eat but has a new tattoo each week, and now her Wall Street trader husband has run off with a woman at work. Lisa makes a quick escape, home to Australia, where at least her girl-magnet son seems to be making hay. Determined to grow older disgracefully, she turns her back on a trim and tidy townhouse that is close to shops, aged-care providers and her bossy older sister, instead buying a grand old house in the country that once belonged to her great-grandfather. But like its new owner, Trumperton Manor has seen better days. Crumbling, filthy and possibly haunted, the old house defies Lisa's attempts to restore it. 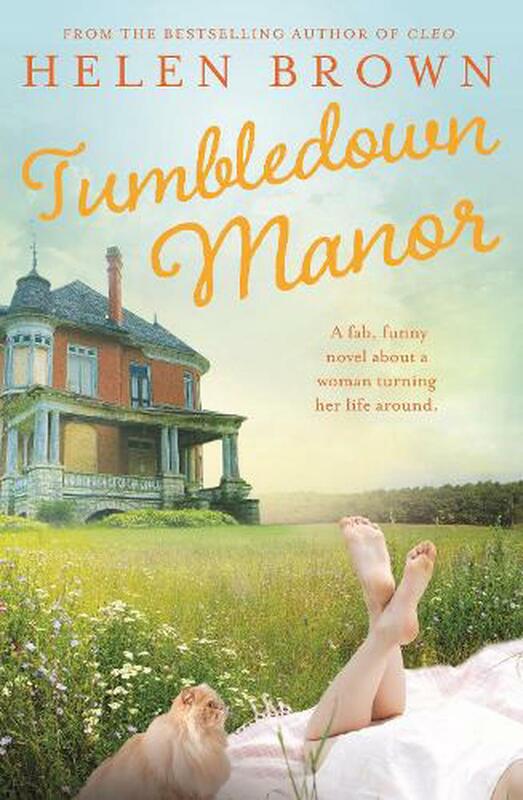 Add flood, fire and family secrets, plus a stray cat with attitude and an overly familiar handyman, and the cracks begin to show...Richly observed and laugh-out-loud funny, Tumbledown Manor is for anyone who believes it's never too late for a makeover. Helen Brown's memoirs Cleo and After Cleo are international bestsellers.